I took full advantage of the last bit of summer and wore my crochet shorts last weekend. I love how effortlessly they look when paired with a chambray shirt. My shorts are more than a year old but you can find the exact version here. Linking up with Manic Monday today! 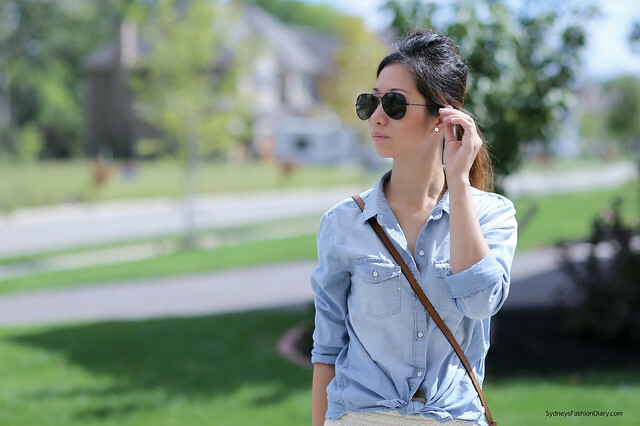 I really love those shorts..so perfect with the chambray!